The Tellabs 3700 multimedia controller is a smart module designed to cancel echo, reduce distortion and otherwise improve the call quality of your services to meet customer expectations and demands. The system uses Tellabs’ voice quality enhancement solutions and the VQEs are designed to work and improve quality on long-distance as well as wireless network telephony. The system currently supports customers in more than 70 countries and used Tellabs 3700s were at one time the largest installed base of Time Division Multiplexing echo cancellation circuits on the planet. 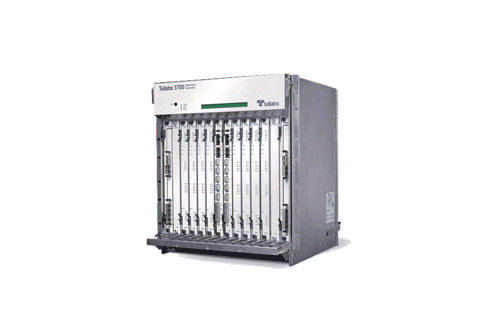 They’re still commonly found across major networks and in smaller regions because of the reliability and cost-effective design of even refurbished Tellabs 3700 models. The 3700 series played a dominant role in network transitions from TDM trunks that relied on G.711 64kbps channels for Inter-Mobile Telephone Switching Office to an all-packet network designed for mobile-to-mobile calls. Even in the all-packet deployment, acoustic echoes were still common and sometimes became more prevalent during the switch. Adding a used Tellabs 3700 to such a network would allow the multimedia controller to remove the echo in any transcoder-free operation networks, allowing you to have a stronger architecture designed for advanced telecommunications. Worldwide Supply has used and refurbished Tellabs 3700 MCs that you can use to evolve your network, offer new services and improve call quality without harming your bottom line through large capex.